إذا كنت تبحث عن فندق بموقع جيد في المدينة، فقد وجدت ضالتك في فندق مترو مارلو سيدني سنترال . إن موقع الفندق الاستراتيجي، الذي يبعد 1 Km فقط عن مركز المدينة، يسمح للنزلاء بالوصول سريعاً وبسهولة إلى العديد من الوجهات المحلية المثيرة. إن سهولة الوصول من الفندق إلى المعالم السياحية الشهيرة الكثيرة في المدينة هو استثنائي بحد ذاته. يقدم فندق مترو مارلو سيدني سنترال خدمات لا غبار عليها وكل أشكال اللياقة وحسن الضيافة اللازمة لإسعاد ضيوفه. يمكن لضيوف الفندق الاستمتاع بالميزات التالية على أرض الفندق: واي فاي مجاني في جميع الغرف, خدمة غرف 24 ساعة, تخزين الأمتعة, واي فاي في المناطق العامة, خدمة غرف. تعكس غرف الفندق البالغ عددها 220 المنتشرة في 12 طوابق جواً من الدفء والألفة.خدمات عصرية مثل شاي مجاني, مناشف, سجاد, قهوة فورية مجانية, تلفزيون بشاشة مسطحة موجودة في بعض الغرف المختارة. يمكنك الاستمتاع بالأجواء المريحة التي تقدمها مسبح خارجي طوال النهار. إن فندق مترو مارلو سيدني سنترال هو خيارك لخدمة الفنادق الراقية في المدينة. يرجى ملاحظة أن هناك رسوم تسري على استخدام الواي فاي في الأماكن العامة. Easily my most disappointing hotel stay this decade. Disgusting. I let someone on reception know that the TV wasn't working (just showing "No Signal") and they came up had a quick look, for about 30 seconds and said they couldn't do anything to help me. It is such a basic thing to get right, but the hotel failed. The room was also dated and dirty, with dirt marks in the bathroom sink. NICE AND EASY TO GET OUT AND ABOUT. 2 MINS TO CENTRAL STATION. Close to bus stops. 15 MINS WALK TO DARLING HARBOUR. Roof top pool small but great for a cool dip. Beds a bit bouncy on wheels but room nice and clean. I stayed here for about 4 nights with my family. The place was great and the location was just perfect. 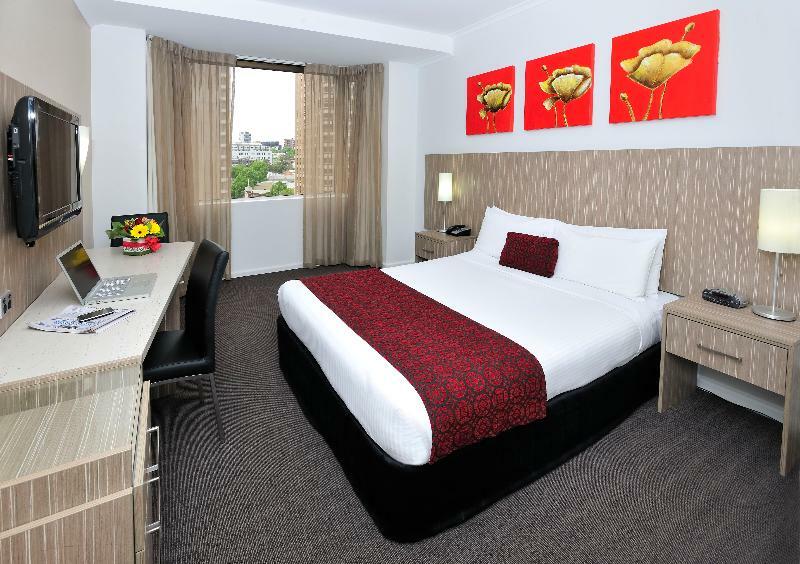 It is in the CBD and a walking distance from the central station. The only problem was, they never made up our room on the succeeding days. Other than that, I still highly recommend this place. The hotel is old but the room and the linen was clean. When I went check-in and the staff was not friendly. The Chinese staff arranged a room with 3 single beds that I would like to change to Twin bed Rooms as I stayed last time. However, the staff was very impolite and said I booked a Twin room so they were single beds assigned. Then I said I had stayed before that I rebooked the hotel because of the bigger beds in a Twin room and I booked twin beds, not 3 beds. The staff were very impolite and arrogant and just standing there without any eye contact or any reply. So I asked them if they were going to change the room for me. And all impolite replies.. I feel very bad because the staff are mainly Chinese but they treated Chinese looking people like this. I would never stay in this hotel again. Dear Mr. Leung, We do apologise for the inconvenience caused upon your checking process, We always try to make our guest experience as pleasant as possible by offering a good level of service, however, apologise to hear that we haven't been able to meet your concerns at the time of check-in. The management ensures that we will look into this and have further training and measures to ensure our service meets guests satisfaction. Whilst apologising for the inconvenience caused once again, we thank you for your valuable comments. Location was perfect , it is close to the train , thai town , china town , Korea town and so many other streets with good food and shopping . Room is good , bath room is a bit old but it okay for a 3 star hotel . They have a shuttle bus to the airport for $16 . Every thing is fine during stay but one day Housekeeper doesn’t make up room proper just set the bed sheet and everything was dirtying in room even toilet have same condition only towels change, I cam back to hotel very late then complained to front office regarding this issue he apologised and next day every thing up to the standards. The hotel location is superb, surround by lots of restaurants and shops. The staff are nice and the room up keeping is great ! The only complain I have is the wash basin which is too small and narrow to have a proper wash of your face. If not because of this I will give a very high mark for the hotel. There are a Korean town, a Tai town and a Chinese town around the hotel. The basin at a room is so narrow so, it’s uncomfortable. There is no fitness club at the hotel. Except for the above, other services were good. We have our room upgraded from normal to suite as we need an early check-in after our exhausting overnight train-trip. I would say the suite is great, but considering the total amount that i paid for the room overall, it's just okay. 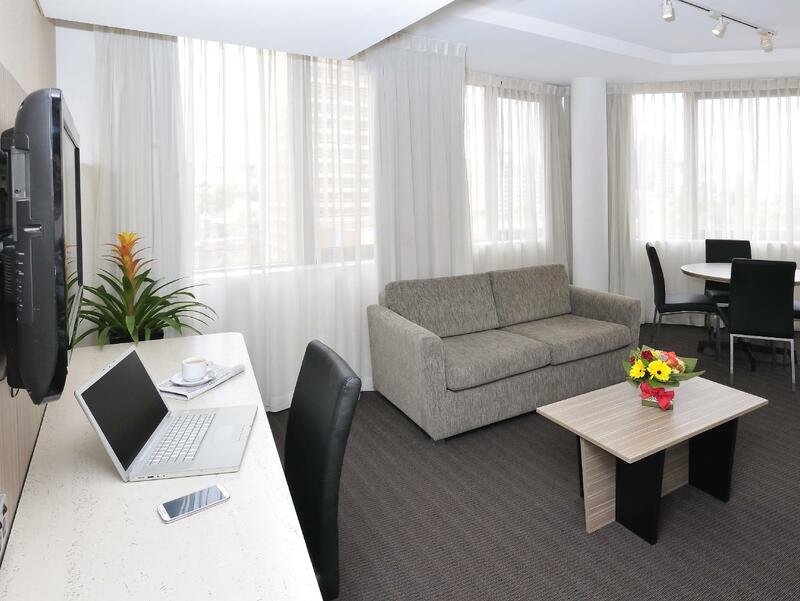 Excellent location in the heart of Chinatown, within walking distance to Central Station. The room was clean. Overall, a good choice for the single business traveler but make sure to book a room that comes packaged with wifi.